It's almost six months since Java 8 was released and there are so many Java 8 tutorials are written by Oracle, bloggers, and other peoples, but which should you read? Which tutorials are worth of your time? Actually, this question is asked to me by one of my reader called John, he was asking me about some good Java 8 tutorials, which he can read to start with. This encouraged me to take a look at some of the Java 8 tutorials available on the internet and form a list of best. I have just used three criterion, content, language and length. Because tutorials complement books, they should not be like the book. They should be small enough to complete in few hours and complete enough to give useful information. I also like tutorials, which discusses practical problems and examples. Here is my list of Java 8 tutorials, which I will recommend to any Java programmer who wants to learn Java 8. These tutorials are good for both intermediate and experienced Java programmers, you will learn sufficient details of all key Java 8 features by following good non-trivial examples. Most of the tutorials are detailed enough to provide all important information and good enough to engage you for that period of time. So let's first start with official Java 8 tutorials from Oracle itself. If you want to learn everything about new features in Java 8 in quick time then this is the best tutorial or course for you. It explains about all important features of Java 8 e.g. lambda expressions, streams, functional interfaces, Optional, new date and time API and other miscellaneous changes. You can get this online Java 8 course for free by signing up for 10-day free trial, which is more than enough to learn some other Java 8 courses from the Pluralsight as well e.g. From Collections to Streams in Java 8 Using Lambda Expressions by Richard Warburton, one of the best course to learn lambda expression with collection classes. Oracle has done a really good job with Java after it's acquisition from Sun Microsystem. All the worries of Java no longer to be open source and destroyed by Oracle is settled by now, and if you still have that in mind then it will surely go away after using Java 8. They have even started work with Java 9, with features like money API, modules API, and several others. Coming to this tutorial, it's the first one to look, even if you don't go along with all the examples, you must first look at this and then follow some other tutorials from the internet. Oracle has covered almost all important features of Java 8 e.g. lambda expressions, default methods, stream API, bulk data operations, options, new Date and Time API, annotation changes in Java 8 and others. This particular link is for their lambda expression tutorial, but you can find all other topics by following this link. Seems, they have just done some CSS changes on their website, which makes reading this tutorial even more pleasant experience. I really liked how they have organized the tutorial and how they take you from simple to complex concept in the matter of few examples. It's one of the best Java 8 tutorials, you can get for FREE, so don't forget to fully utilize it. They even have lots of good articles about date and time, options and other feature which you find on Java Tech network. This is another good online Java 8 course which will teach you everything about lambdas, Collections with Stream, new Date and Time API and miscellaneous new features. Btw, this course uses IntelliJ IDEA for demonstration and coding, so if you are an Eclipse guy like me, you may be a little bit worried but don't worry because they provide detailed instruction to install IntelliJ IDEA as part of the course. 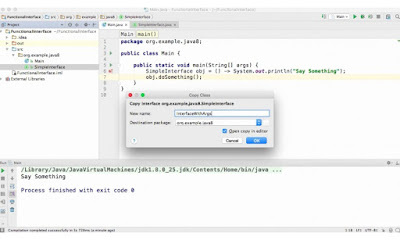 IntelliJ IDEA also has many interesting features with respect to Java 8 e.g. 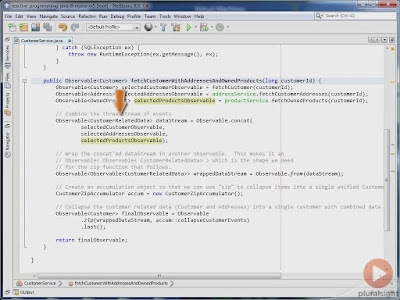 code completion, compilation support and debugging Java 8 code, coding lambdas in IDEA is really interesting and fun. Apart from this Udemy also has some interesting Java 8 courses e.g. Java 8 Functional Programming: Lambda Expressions Quickly, which is an FREE course and I suggest every Java developer join that. This course has two parts, in the first part you will learn lamdas and in the 2nd part, you will learn about Streams. When I first come across this tutorial, I was thinking it as "Yet Another Java 8 Tutorial" but I was wrong, it's very well written and probably better than official Java 8 tutorials from Oracle for impatient developers. It's not as detailed as official Java 8 tutorials from Oracle, but surely detailed enough to give you exposure of all key details. It's worth of all seconds you spent on this tutorial, well organized and nice and simple examples. Dr. Dobbs is one of the respected sites among developers and they often introduce new concepts with good details. This article has done justice with a most important feature of Java 8, lambda expression. This will explain you the concept right from the start, as for why do you need lambda expression, and if you are one who is lost between the cryptic syntax of lambda expression ( I was, almost a year ago ) then this article is something you can look forward. It explains the syntax of lambda expressions, how lambda do type inference, and how lambda expression works. The focus is how do you write clean code using lambdas and how functional interfaces, method reference, and constructor reference help you on your goal. It also touches the tricky topic of lexical scoping used in lambda expressions along with default methods, and static methods on interfaces. If you are not convinced yet to read this tutorial, you would after knowing that author of this article is none other than Cay S. Horstmann, professor of computer science at San Jose State University, a Java Champion, and a frequent speaker at computer industry conferences and author of Java SE 8 For the Really Impatient book. Out of big three Java IDEs (Eclipse, Netbeans and IntelliJ IDEA), I think Netbeans has the best support for Java 8. Their code assist and quick tips helped me a lot to master syntax of lambda expression and where I can use lambda. It can be really confusing when you find you can pass lambdas to some method but not to others, as you can only pass a lambda expression to a method whose parameter is a functional interface, annotated by @functional or SAM type (a class or interface with just one abstract method). The Netbeans IDE really help here, it will suggest you when you can use lambdas when you can use method reference, where is legal and where is illegal. So along with any of these tutorials or books, Netbeans should you be your best companion in your Java 8 journey. This is one of the premier resources for lambda expression and Java 8. You will get answers to all your queries related to lambda expression here e.g. Why Java needs lambda expression, how Lambda expression works internally and all syntax and semantics of Java 8 lambdas. This is actually one of the most authoritative sources about lambdas. 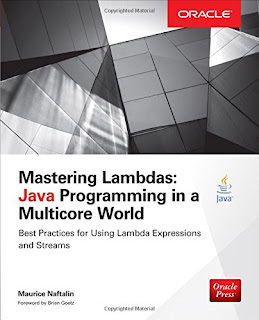 This list of frequently asked questions is maintained by Maurice Naftalin, author of Mastering Lambdas: Java Programming in a Multicore World, one of the better books to learn Lambda expression. Sooner or later you will come to this site, but since you know about it now, it's worth paying a visit and taking an idea of what you can learn about lambda expression in Java 8. I love stream for their expressiveness, lazy optimization and ease of code, and I found it while trying several different examples. This collection contains those tried and tested code snippet of stream API. You can find how to filter using streams, how to collect result, finding max and min, average and working with integer streams there. If you love to learn by following a different kind of how-to examples, then you will find this tutorial useful. It's more focused on how to do in Java 8 but also gives you important details while trying those examples. Programmers love Katas, I do, don't you? and what would have been better than learning new Java 8 concept using classical programming Katas? Viktor Farcic and Jordi Falguera have done a really good job to teach Java 7 and 8 coding style using problems like Fizz Buzz, Berlin Clock, Tennis Game, Prime Factors, String Permutations, Word Wrap, Mars Rover, Bowling game and Reverse Polish Notation. Some of the Katas are in Scala which gives you more challenges of converting them into Java 8 code. So if you like to practice some programming Katas using Lambda expressions, Streams and new Java 8 utilities, this site is for you. What can be better than sharing your own experience and in this article I have shared Java 8 lambda expression and Stream's wisdom with some easy to follow examples. This is a busy developer's guide, who wants to learn by following and doing examples. You will find how you can replace your old anonymous class way of coding with brand new lambda expressions. I have given examples of how single abstract method interfaces e.g. Runnable, Comparable, Comparator, and ActionListener can benefit hugely from lambda expressions and functional interfaces. Since Java allows SAM type functional interface you can create a method in Java 8 ways. When someone talks about Java 8, including myself, the main focus is always on lambda expression, but there are some other significant changes, which is also as important as lambdas. After the lot of criticism of Java's handling of Date, Time and Calendar, Java has now sorted out all their mistakes by giving us a brand new Date and Time API. This API the is the result of all experiences of how a programming language should handle critical date and time. Though API looks largely inspired from joda date and time API, it's very designed. One of the key thing the is a separation of date from human and machine point of view. You have classes like Instant, Duration, LocalDate, LocalTime for your day to day needs. Java's handling of time-zones is also better in this new API, I hope it provides some way to reduce errors due to confusing names e.g. Asia/HongKong and Asia/Hong_Kong (one of them is valid). As suggested this article provides a deeper look into Java 8 Date and Time API. It's example-driven article and I am sure you will love it. I have become a fan of Benjamin Winterberg, after reading his Java 8 tutorial, so when he publishes next two article in this series, I was quick to read. Like his previous article, he has done justice with Streams as well. I am really surprised with how he covers the concepts one by one in an order, which looks perfect. Since there are lot of things to learn about Streams, there is good chance that one or two will be missed, but this article covers most of them e.g. different kinds of streams operations like intermediate and terminal, lazy evaluation of streams, filtering, transformation, parallel execution, special Stream classes for primitives and several others. You will not only learn basics like what is a Stream in Java 8 and How it works but also some advanced operations e.g. how to use FlatMap, using Map and Reduce function in Java 8, filtering, collecting results and so on. Takipi blog has some interesting Java 8 tutorials, one of them is Java 8 StampedLocks vs. ReadWriteLocks and Synchronized. Tal Weiss, CEO of Takipi has done a great job in explaining how StampedLock fair with classical synchronized keyword and better performing alternative ReadWriteLocks. He has nicely compared the performance of these three locks on the various scenario like 19 readers vs 1 writer, 16 readers vs 4 writers, 10 readers vs 10 writers and 5 readers vs 5 writers. Though the conclusion is somewhat intuitive but more realistic as on average still intrinsic lock provided by synchronized keyword perform better. 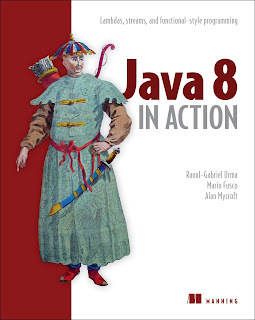 Btw, if you are like many programmers who like to follow a book from start to end to learn concepts in a right order and with completeness than you can take help from Java 8 in Action by Raoul-Gabriel Urma, Mario Fusco, and Alan Mycroft, which explains lambda expression, stream API and other functional features in great detail. 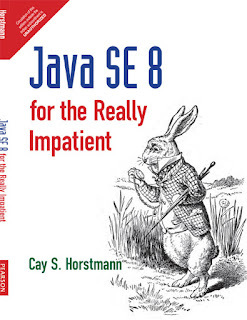 You can also read Java SE 8 for Impatient by Cay S. Horstmann, which explains all important features including functional and non-functional like new date and time API. In short, both are great books to learn Java 8. These were some of the best Java 8 tutorials you will find online at this moment. Though these tutorials don't cover all the features introduced in Java 8, You will get a nice overview of most of the core features e.g. 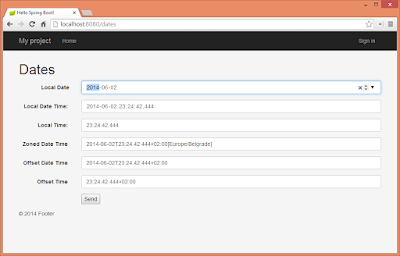 Streams, Lambdas, new Date and Time API, Repeatable annotations, Nashorn, and others. If you are hungry for more Java 8 tutorials, resources and books, You can also take a look at my earlier article about some of the best Java 8 books. I personally like to thank all authors for taking their time and sharing knowledge, making it easy for us to understand the power of Java 8. Great job guys. The best tuotrial of Java 8 is the official one, which is http://docs.oracle.com/javase/tutorial/java/javaOO/lambdaexpressions.html , it is complete, comprehensive yet easy to understand. Instead of reading tutorial here and there, I guess just check out any good book on Java 8. Agreed, you will learn much better with a book like Java 8 in Action than these random tutorials. @Devesh, just look at the progress or number of Java releases after Oracle took over Java from Sun. Java 8 is barely out in 2014 and Java 9 is coming shortly. Certainly Java is priority in Oracle's mind if not then also they are not ignoring it. Does anyone think that Python will take over Java in the future or they are already taking over? @Anonymous, Python is a great language and its already replaced Java in United states as one of the first few languages in Academics e.g. Colleges and University, but Java is just so huge, it has used all over the places, you can read my post where Java is used in real world to get an Idea. So, I don't think Python can totally replace Java but yes it can complement it.